Anti-terror rhetoric by Ethiopia’s government could escalate into a brutal crackdown on protesters, human rights group Amnesty International has warned. A plan to expand the capital’s administrative control into the Oromia region has sparked deadly protests. The government has accused Oromo protestors of links with terrorist groups and trying to topple the state. Amnesty says the claims aim to justify repression of those protesting against feared land seizures. The Oromo make up Ethiopia’s biggest ethnic group, at about 27 million people. Oromia is the country’s largest region, surrounding the capital Addis Ababa. Authorities say five people have died in protests so far, but opposition parties and human rights groups say the number is closer to 40. 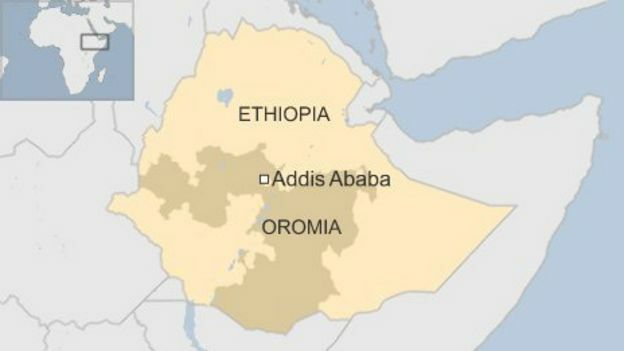 Protesters also say they fear cultural persecution if what has been dubbed a “master plan” to integrate parts of Oromia into Addis Ababa go ahead. Some have also raised the prospect that they will be forcibly evicted and their land taken amid the rapid expansion of the capital. 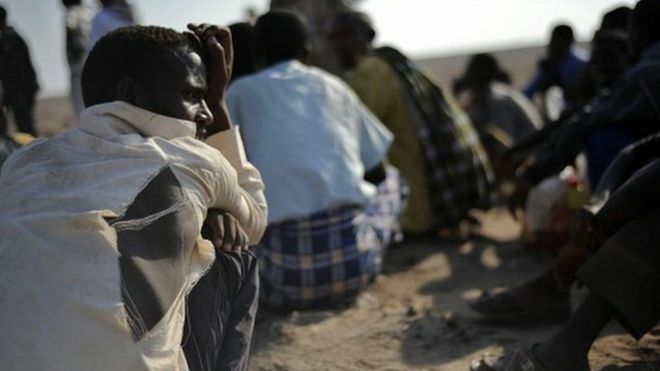 “The suggestion that these Oromo – protesting against a real threat to their livelihoods – are aligned to terrorists will have a chilling effect on freedom of expression for rights activists,” said Muthoni Wanyeki, Amnesty’s Regional Director for East Africa, the Horn and the Great Lakes. In April last year the same plan sparked months of student protests. The government said at the time that 17 people had died in the violence, but human rights groups said that the number was much higher.